Star Maa has kick-started the process of the much-awaited reality TV show Super Singer and asked aspiring singers to register their names for the audition on the channel’s official website. The bosses of Star Maa took to Twitter on February 3 to make an announcement about its upcoming reality TV show Super Singer. 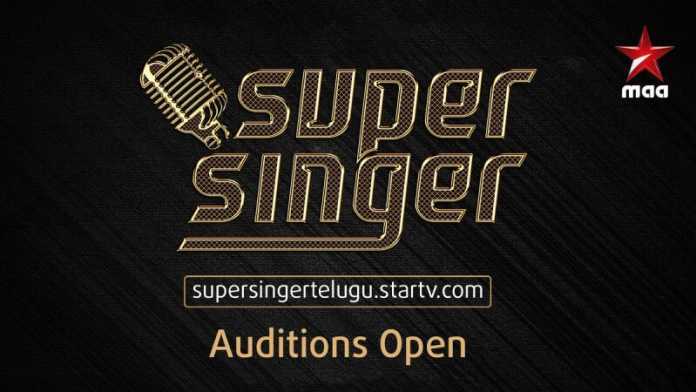 Star Maa Super Singer 2019 Auditions open for Registration. Star Maa began the process of auditioning for Super Singer and provide their website link, where the aspiring singers can register their name. The Official tweeted on February 5, “To Register for #StarMaaSuperSinger Click supersingertelugu.startv.com and upload your Video/Audio.” Star Maa also released the video in which its bosses provide the details of audition centres. Step 1: Click here to visit the official website link of Super Singer. Step 3: You need to briefly share your passion for singing and what motivates you to apply for the Star Maa Super Singer 2019 Auditions. Step 4: You need to the Audition Video: The maximum duration of the video shall be 3 (three) minutes and not more than 50 MB in size. Any video more than 3 minutes or 50 MB in size will be rejected. Step 5: You need to terms and conditions and declare that the information provided by you is true and you agree that you have read and understood the terms and conditions. Then you need to submit your application.